Simplicity is beautiful. 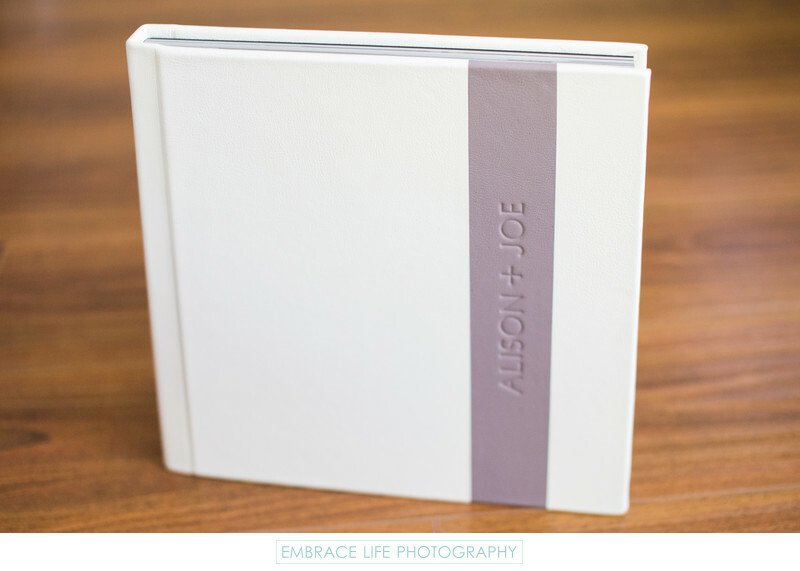 This Sherwood Country Club wedding photography album is shown in white leather with a vertical stripe of heather colored leather and the couples names debossed in a modern font face and design style. The heather stripe was perfectly complimentary to the bridesmaids' dress color.